Today is my birthday, and I’m thankful to God for giving me life, and offering me the gift of salvation through Jesus Christ. Because Jesus lives in me, The Holy Spirit changes me every year, molding me to become more like Jesus. When you’re a Christian, getting older is a reason to celebrate, for we gain wisdom, and we get closer and closer to living eternally in Heaven with our Savior. 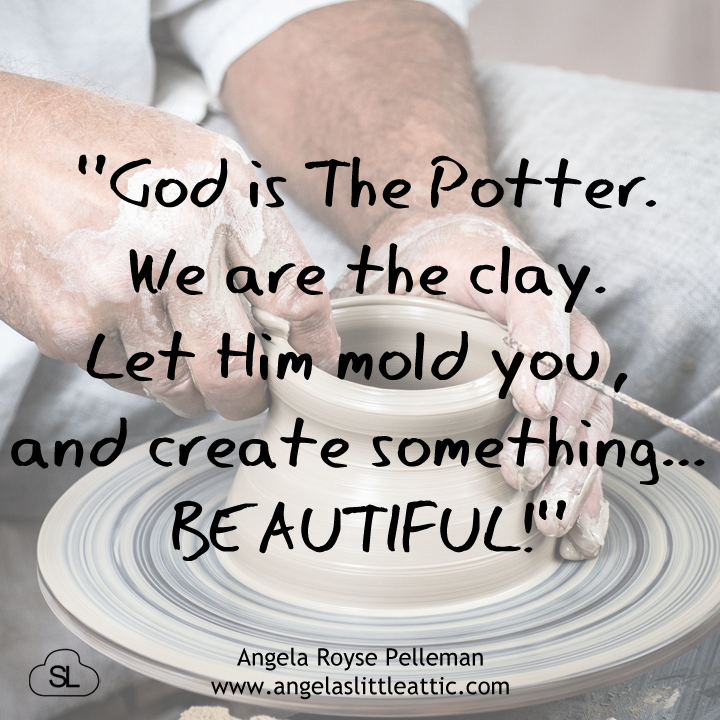 God, you are my Potter. I am your clay. I’ve been dropped, broken, and repaired. But the silver lining is that Your light shines through the cracks. Thank you for creating me. Let my life inspire others as you shape me into a beautiful masterpiece. “Yet you, LORD, are our Father. We are the clay, you are the potter; we are all the work of your hand” (Is. 64:8). This makes me think of the post I saw on facebook about how the Japanese repair cracks in pottery with gold so that they become even more beautiful. When we get broken, the resulting healing from our Lord makes us more beautiful (and more useful too). I know I already said it, but Happy Birthday! May you continue to be richly blessed. It’s called kintsugi. I don’t have the exact post I initially saw, but this describes it pretty well. And yes! Looking forward to celebrating with you.